Vendors, not surprisingly, don’t see the issue the same way; more than half (53 percent) feel their programs are not very complex or not complex at all. “A good registration program should be fair to VAR and OEM, quick to enter (10 minutes or less), and remain renewable with adequate VAR feedback and effort. Programs garnering less than 7 percent additional margin points are almost a waste of time and not worth it,” wrote one public sector IT reseller. To sort out the complexity issue and get public-sector reseller partners fully on board with deal registration, GCLC encourages vendors to emphasize simple, user-friendly deal registration portals self-service tools for partner engagement. The onus is also on partners to deliver deal registration programs with easy-to-navigate administration, clear lines of communication with account managers, and a transparent review process for approvals. 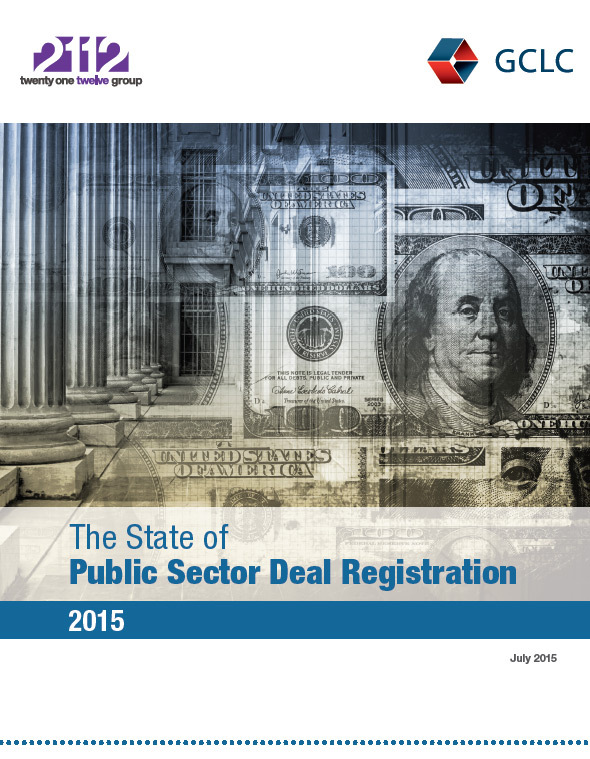 To download your copy of the GCLC 2015 State of Public Sector Deal Registration survey, go to http://response.immixgroup.com/GCLCDealRegistration. The Government Channel Leadership Council was created by immixGroup to provide a forum for sharing best practices, information and ideas about the public sector IT market. GCLC members include channel management executives from leading IT manufacturers that sell to the public sector. To join the GCLC’s LinkedIn group, click here.